May 18 Green Business Roundtable: How New World Companies are Innovating and Succeeding. Sustainably. Join our exciting and interesting discussion as Bruce Piasecki describes the Future of Capitalism and what we can learn from the best companies in our growing global economy while Adel Ebeid brings decades of expertise in innovation, information, big data and analytics into the equation. Bringing these two thought leaders together will no doubt be a 2016 highlight for those of us interested in how business will succeed in the future. Don't miss it! 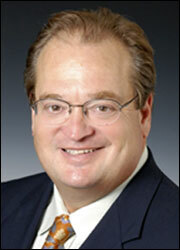 Bruce Piasecki is the president and founder of AHC Group, Inc. a management consulting firm. Toyota, Shell and Suncor Energy are among the hundreds of global companies he has advised in the critical areas of corporate governance, climate change, environmental strategy, product innovation and sustainability. Dr. Piasecki is the author of ten books on business policy, including New York Times bestseller, Doing More With Less. Adel Ebeid was named President of Innovation at Green Diamond, LLC, in January 2016. Green Diamond is a technology company focused on the confluence of sustainability and data analytics. Mr. Ebeid was the first Chief Innovation Officer for the City of Philadelphia, and was acclaimed for his ability to lead the city into the future. He previously served as Chief Information and Technology Officer for the State of New Jersey, including a stint as CIO of NJ's Department of Environmental Protection. Thanks to Advanced Energy Economy for hosting this month's Roundtable.